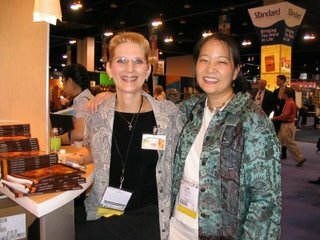 Today I have award-winning author Robin Lee Hatcher on my blog! 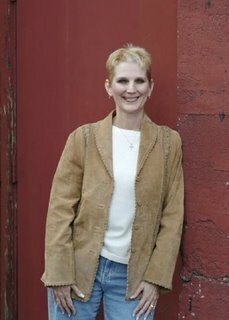 Robin Lee Hatcher discovered her vocation as a novelist after many years of reading everything she could put her hands on, including the backs of cereal boxes and ketchup bottles. However, she's certain there are better plots and fewer calories in her books than in puffed rice and hamburgers. The winner of the Christy Award for Excellence in Christian Fiction, the RITA Award for Best Inspirational Romance, and the RWA Lifetime Achievement Award, Robin writes both historical romance and contemporary women's fiction. A Carol for Christmas (October 2006) is her 50th release, and she has four books slated for release in 2007. Robin enjoys being with her family, playing with Poppet (her high maintenance Papillon), spending time in the beautiful Idaho outdoors, reading books that make her cry, and watching romantic movies. She is passionate about the theater, and several nights every summer, she can be found at the outdoor amphitheater of the Idaho Shakespeare Festival, enjoying Shakespeare under the stars. She makes her home in Boise. 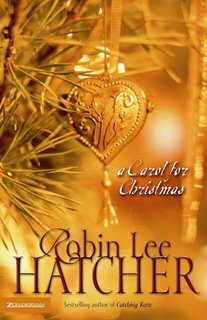 Robin's latest is her 50th release, her novella A Carol for Christmas. Carol Burke was born to sing. It was the life she had always dreamed of. There was only one thing she loved more, one person for whom she would willingly sacrifice her dreams: Jonathan Burke. Married against their parents’ wishes, both are determined to make a life together despite the hardships. Jonathan works hard at his father’s department store, leaving Carol alone in their tiny apartment. But long hours turn into late nights, thanks to Jonathan’s insatiable desire to prove himself to his father … even at the expense of the one he loves best. What inspired the idea for A Carol for Christmas? Actually, this is one of those odd things that happen in publishing. I was working on Return to Me (a prodigal daughter story) when my publishing schedule got changed around. Zondervan decided they wanted that novel to come out at a different time of year, so they requested that I do a Christmas novella first. Because I was already invested in the two sister protagonists in Return to Me, Elena and Roxy Burke, I decided I would enjoy telling the love story of their parents, Jonathan and Carol. I thought back to my first Christmas as a teenage bride and the struggles young couples can have as they try to meld different Christmas traditions from two separate families into something new and unique to them. That was the starting point for A Carol for Christmas, but the actual story became more about the desire of our hearts and how God wants to change and use them for His glory. You mentioned the Burkes' story will continue in Return to Me in July 2007. Can you give us a sneak peek at what the book will be about? Can grace heal her broken heart? A lot has changed since Roxy Burke escaped small town life to become a Nashville star. Her former boyfriend Wyatt has found Christ and plans to become a minister. Her sister Elena, who comforted Wyatt when Roxy ran away, is now his fiancée. Her father Jonathan, a successful businessman, is still heartbroken over the estrangement of Roxy from the family. Now Roxy—her inheritance from her grandmother squandered, her hopes of stardom dashed—finds her way home … not by choice but because it’s her only option. Her father’s love and forgiveness surprise her, but her very presence throws the contented Burke family into turmoil, filling Roxy with guilt and shame. Elena is shocked to discover doubt and resentment in her heart about her father’s easy acceptance of Roxy into the family circle. Wyatt wrestles with doubts about marrying Elena. And Roxy struggles to accept forgiveness. Isn’t she more deserving of rejection? As the story of the prodigal plays out, each member of the Burke family must search for and accept God’s grace. skydiving. You jump and hope the parachute opens before you smack into the ground. Do you have a special tradition your family does for Christmas? My extended family gathers together on Christmas Eve. We eat lots, laugh lots, and open a few presents. I have so many wonderful memories through the years of mom and brother and cousins and aunts and grandmother and daughters and grandchildren. Each year is a little different as the family grows, changes, moves, shrinks, but the love is always there. That's the best part of Christmas for me: family. If you were a Christmas carol, which would you be and why? You know, I'm sure I'll think of a better answer about 2:00 a.m. the day after I send this. But off the top of my head, I'd be Rudolph the Red Nosed Reindeer. I mean, who wouldn't want to be able to fly all around the world on a single night? Besides, I relate to the poor guy. The noses in my family are not known to be button-sized. When I was in 7th grade, someone called me Eagle Beak. I think I grew into my nose, but I still remember the sting of the teasing. Thus, me and Rudolph, we be mates. Carol Burke is a singer. Do you sing, or does your dog hide under the bed? I love music and have the heart of a great singer, but alas, not the voice. While I don't make the dog (or anyone else) run for cover, I consider my singing to be closer to a joyful noise. I know my limitations. Still, in my car or around the house, I am usually singing along to something (contemporary Christian, worship, country, golden oldies). My mom insists that I know the words to thousands of songs. I doubt it, but I know quite a few. (I'm very food-oriented, in case you didn't know, and will consume anything made of butter, flour, and sugar in sight) What's your favorite type of Christmas cookie/dessert and why? When my two daughters were little, we would take a Saturday in early December to make cookies, to eat and to give away to others. I would roll, cut, and bake. They would sit on stools at the long kitchen counter and frost. There would be one bowl of red frosting, one of green, one of blue, one of yellow, and one of white. I cut snowmen and stars and Santa Clauses and Christmas ornaments. There was frosting all over the counter by the time we were done. Oh, and all over my daughters' mouths, too. Those December Saturdays ended a long time ago, but I still remember and miss them. What's your funniest/worst/most embarassing Christmas story? Hmm. I guess the worst was when I almost killed myself when I was about eight years old. The house I grew up in was on the side of a hill that was pretty steep. Maybe a 50 degree angle. It stopped about three to five stories down in an abrupt V, rising again in an even steeper incline to the railroad tracks that used to bring the train into town. Boise doesn't get a lot of snow in the valley and having a white Christmas was always a big deal. This particular Christmas Eve, it was snowing, and my older brother and I decided to get the flying saucer and slide down that hill. We were too young (and dumb) to realize that when we got to the bottom there would be a very sudden and complete stop. When I came to the V, it was like two cars smacking into each other at 50 mph. I remember feeling scared and sick and shaken as I lay there in the snow. Even at that young age, I knew that I'd come close to ending my life. Obviously, God wanted to keep me around a few more years, for which I am deeply grateful. First, thanks for hosting me on your blog. Second, I guess I would say how utterly surprising it is to see my 50th release on the bookstore shelves. It seems like I started my first book such a short time ago. I hope A Carol for Christmas will bless readers and bring a smile to their lips and joy to their hearts. She invites all you guys to visit her web site at http://www.robinleehatcher.com and her Write Thinking blog at http://robinlee.typepad.com. Bible in 90 Days: Day 11. It hit me today as I was reading that someone who wouldn’t know God very well would read Deuteronomy and might think He’s pretty stern. But because I know Him, I read these words and think only of how powerful and holy and yet merciful He is. I mean, He’s talking about destruction if the people don’t obey His commands and reminding them of all He did for them. He also talks about lavish, abundant blessings if they obey Him. Someone who doesn’t know God—doesn’t know Christ—might read those passages and think He’s just telling people to obey and live or disobey and die. But I know Him—I’ve experienced those lavish blessings, and they’re WAY more than I ever deserve for my obedience. He’s so merciful it boggles my mind. Those passages fill me with awe of Him and more love for Him. Writing: I posted another article on blogging for writers at the CAN Marketing blog. Today’s topic is blog hosts. Diet: I exercised yesterday! Woohoo! Now for the other 3 days this week!